Now available in a fine tip style, Chartpak Ad Markers feature waterproof, permanent, solvent-based ink in a variety of brilliant colors. The cone-shaped precision nib on Chartpak Fine Tip Ad Markers holds its shape, resists "mushrooming," and provides a consistent line width for detail work, lettering, and outlining. 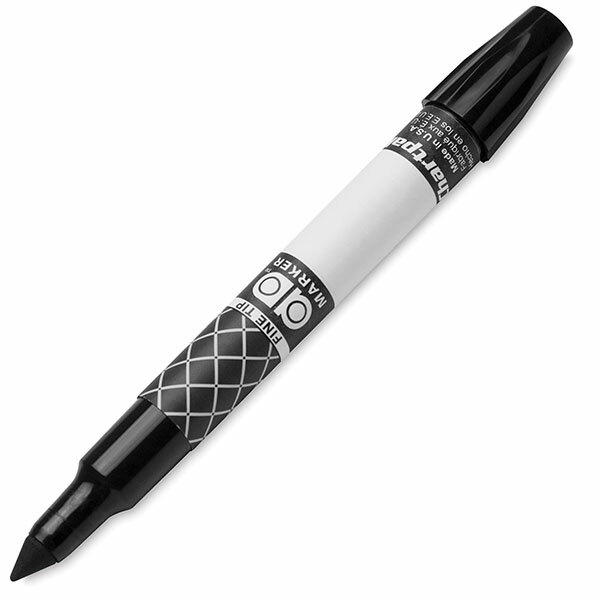 The marker's non-feathering, non-streaking ink is also great for blending, shading, and covering large areas. From crisply articulated tight comps to architectural renderings to expressive art, Chartpak Fine Tip Ad Markers are the markers to choose for professional performance.